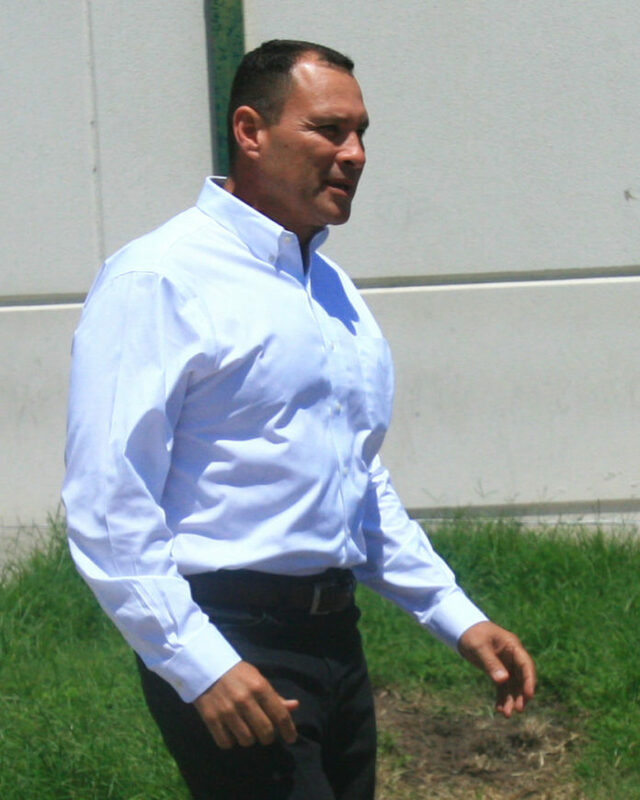 Donna school board trustee Ernesto Lugo is seen in a May 29, 2015, file photo in Edinburg. Ernesto Lugo has blamed a “political ploy” for the city of Donna deeming him ineligible to seek the mayoral seat. Although his name will remain on the November ballot, the city said Lugo is “administratively ineligible” to seek office after Donna City Secretary Laura Balderama received a complaint Wednesday that questioned his residency, according to a city news release. A spokesperson for the Secretary of State’s Office confirmed the city was provided with legal guidance solely about Texas Election Code. However, the state agency cannot determine a candidate’s eligibility or residency, said Sam Taylor, communication director with the Secretary of State’s Office. That is left up to the city and its bylaws. Lugo, who lives on Lott Road in Donna, signed a city development agreement when the city was annexing property, he said. He requested an updated city map before filing to seek the mayoral seat. Lugo does not believe he is ineligible to seek office and will continue with his mayoral bid. “It wouldn’t make sense to just not tax me,” Lugo said, insisting undeveloped land nearby his home is the only tax-exempt property. Treviño confirmed that Lugo signed a development agreement when the city annexed the area, but said Lugo would not be paying city taxes on his property, making him ineligible to seek office in Donna. When asked about the timing of the announcement, Treviño said applications for a place on the general election ballot are accepted, but it was the complaint that prompted closer inspection. “Until somebody brought it up to (Balderama), then she started looking into it,” he said. Should Lugo win the election outright, the issue could be taken to state district court, if a lawsuit is filed, according to Taylor. Lugo’s name appears third on the ballot along with mayoral candidates Simon Sauceda, incumbent Irene Muñoz and Rick Morales. Lugo said Donna police handed him a city letter at his home on Thursday. “I’m going to stay on the ballot, and I’m going to continue the election, and the voters in Donna are going to decide who to vote for,” Lugo said.